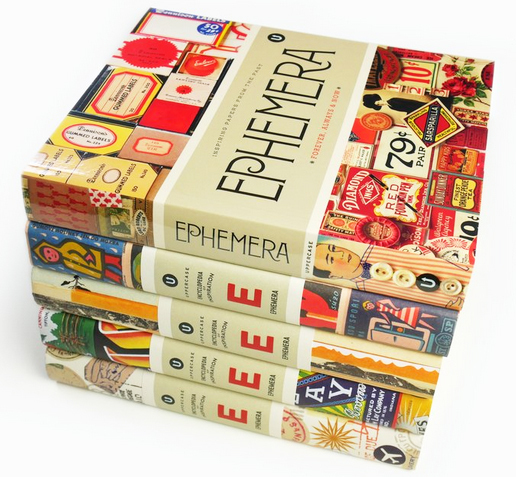 My work and the collection of vintage imagery that inspires it are featured in Ephemera, volume 5 of the gorgeous Uppercase Encyclopaedia of Inspiration. 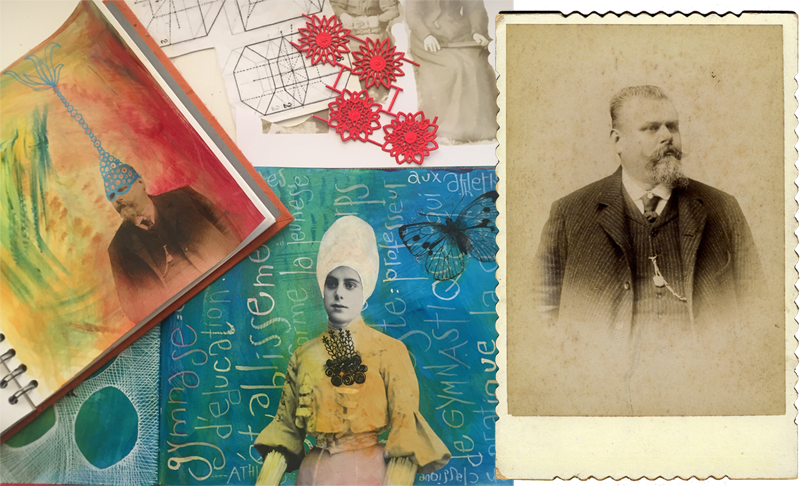 Found images combined with vibrant colour and pattern are at the core of my creative work, and I have a growing archive of ephemera that provides me with reference material and inspiration. 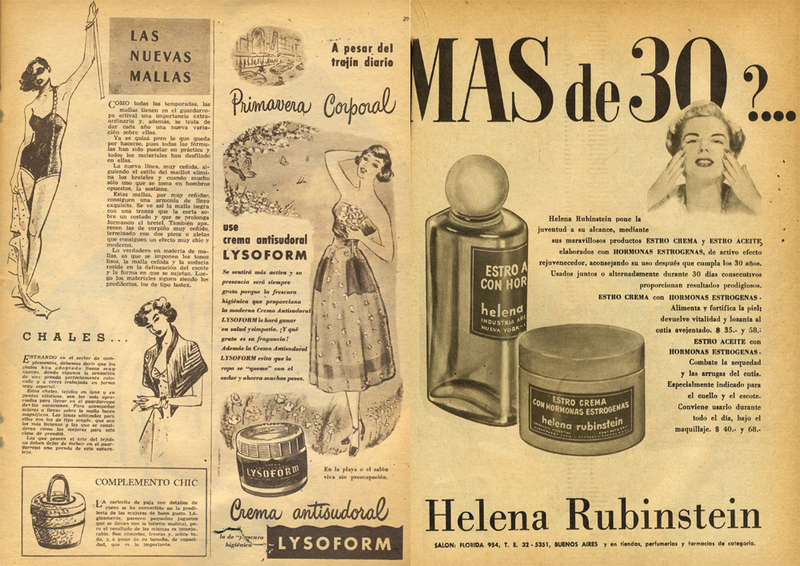 Within a period that seems to spread from the end of the 19th century to the beginning of the 1960s, I collect what catches my attention: my interest is not just in images, beautifully printed lettering or the shape of handwritten script but also the curious insight into the minutiae of everyday life in bygone times. Bits of paper that hold memory and evoke a sense of history and perhaps nostalgia: they intrigue me, I wonder about the stories behind them and this thinking process often provides the starting point for a piece of work. My collection is not an organised enterprise but more of a magpie affair, hence random pieces catch my eye. 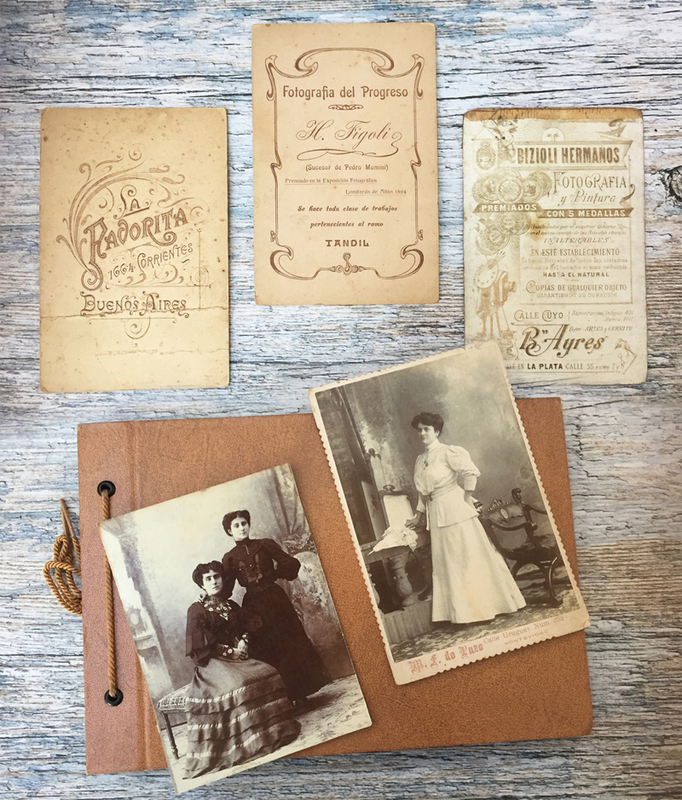 These include greeting cards, family photos and photo albums, handwritten letters, school books and instruction manuals, postcards, maps, women’s and nature magazines, knitting and sewing patterns, stamps, cigarette picture cards. I love the faded colours, typefaces and textures of the bygone printed world, full to bursting with odd things that I know will find their way into a piece of work one day – maybe not today or tomorrow but eventually. 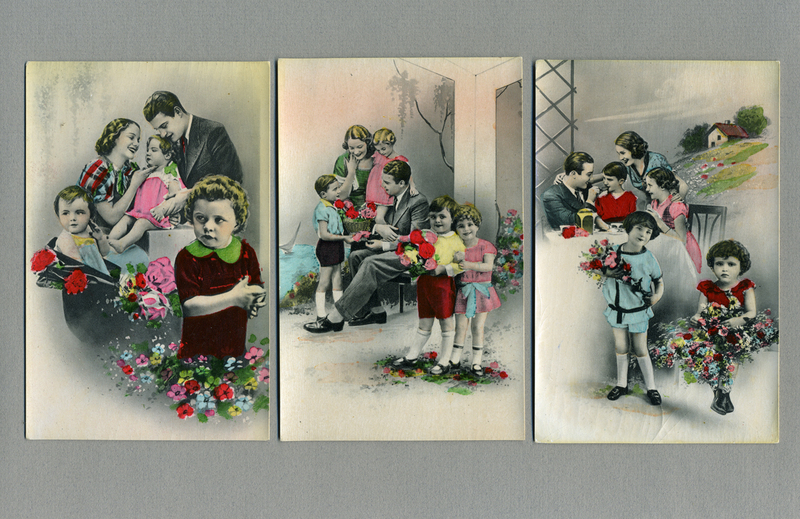 I have a particular fascination for old photographs and this naturally led me to collecting cabinet cards: I love the stiff, sad, serious portraits on the front and elaborate embossed logos and lettering on the reverse, advertising the services of the photographic studio. 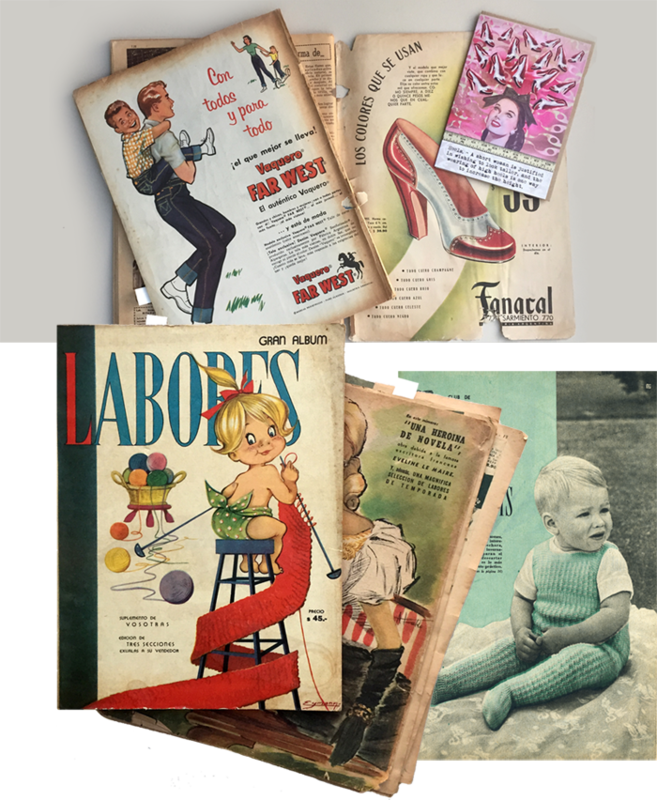 Of course I have favourite pieces, and they are the ones that started me on this journey: a precious few copies of 1940s and 1950s magazines from Argentina that belonged to my maternal grandmother. 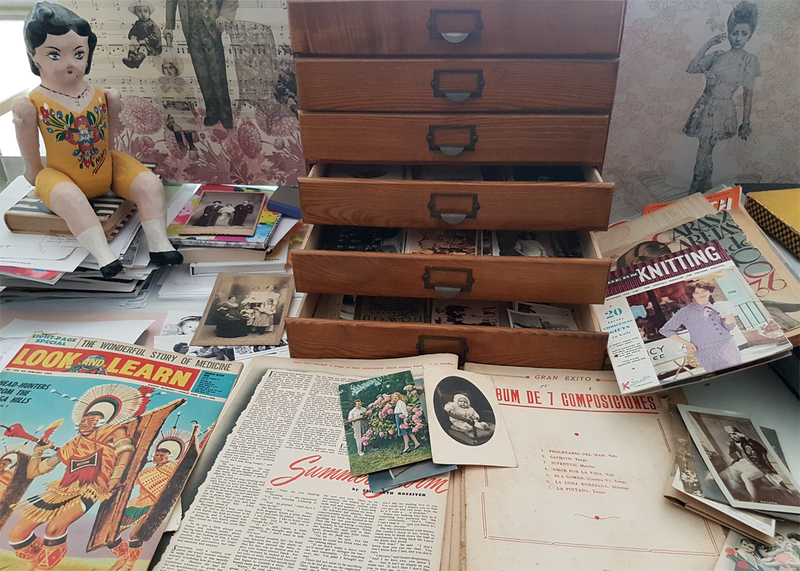 Full of faded and quirky images, short stories, recipes and charming, anachronic adverts, they have already provided me with much inspiration, as the starting point for a large commission of prints and also my greeting card collection. It is always a thrill to turn their pages and see the wealth of material which is still waiting to be explored and used in future work. Here is a little preview of my chapter in Ephemera: Forever, Always and Now. You can order a copy of this beautiful book from Central Books in the UK at £29.00 or directly from Uppercase in Canada at $50.00 CAD.